Central; BUDGET : Indian Budget The question is, will it work? Having failed to perform in the last 58 months, the government desperate to improve its report card seems to be in denial as the ‘interim’ budget has little or nothing to enthuse the joblessThe excitement over the ‘budget’ is now over. The farmers and the middle class got Rs 17 a day from the finance minister, but young women and men of India got nothing. Despite the word ‘jobs’ mentioned five times in the Modi government’s final budget, with unemployment at the highest level since the 1971 war, the outgoing government appears to have thrown in the towel. Jobs was central to the political agenda in the 2014 Lok Sabha elections as Narendra Modi then promised crores of jobs and rapid economic growth. Five years later, rural unemployment is touching 18% and the government is not even attempting to respond to it. The youth are now looking up to the Congress and Rahul Gandhi to come up with an answer. As the dust settles on the budget day, Piyush Goyal’s budget will go down in history as the single biggest act of financial impropriety as the government is now promising to spend money it does not have. The question is if Bimal Jalan would give the government a financial lifeline by recommending a fund-transfer from the RBI? But as former Finance Minister P Chidambaram said, this was not a vote on account, it was an account for votes. The problem is, it will not work. This budget, however, was about jobs and this is one area where the government left the answer-sheet blank. The budget speech has four main references on jobs: the first talks about how an expansion in air traffic has led to increase in jobs in the sector.The second reference spoke of Vande Bharat Express which will give an impetus to the Make in India programme and create jobs. The Finance Minister also spoke how solar generation sector is now creating lakhs of new age jobs. 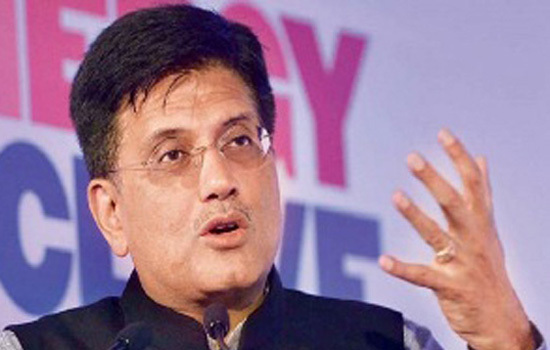 But by the time he reaches the fourth reference, the Finance Minister throws in the towel and puts the onus of creating jobs on the youth themselves: “Our youth will lead us in this endeavour with innumerable start-ups creating digital India, and millions of jobs in this eco-system,” Mr Goyal said, telling the youth to basically go out there, create jobs for themselves and other young people and that the government would continue to put an Angel tax. Unemployment would continue to be a serious issue and Modi government clearly wants to avoid the issue. It tried to brush the issue under the carpet by saying that the NSSO data was not official, but the numbers would continue to haunt the government. This is going to be a serious problem going into the elections as the government continues to live in denial. While the government can deny the NSSO data, it cannot deny trends from the National Career Service where the number of people registered has gone up to 39 million or almost 4 Crore but only about seven lakhs have been provided jobs, which is less than 2% of the persons registered. There is nothing in the budget which tells us how the remaining 3 crore 93 lakh people are going to get jobs. The total population of people in the 15-29 age group according to the 2011 census data is around 48 Crore and a little over 15 Crore are rural males among whom unemployment has climbed to a massive 17.4 per cent, indicating that this number would be around 3 Crore. The government appears to have left the young women and men to fend for themselves and it would be up to the next government to come up with an effective policy. The bigger question, however, is about the two big questions that are coming out of the budget: What happens to people who have a net taxable income of Rs 5,00,001 and the second, how the government wants to fund the Pradhan Mantri Kisaan Yojna? The answer to the first question is that while incomes up to Rs five lakh are not going to be taxed, the additional Re 1 is going to invite a tax of more than Rs 10,000. This is a discussion that is going to continue in middle class living rooms for the next few days, unless the government comes up with a clearer answer. The second question, about how the government plans to fund this budget, is a far more complex one and as stated in earlier posts, this is not what this government wants to talk about. “We would have maintained fiscal deficit at 3.3 percent for the year 2018-19 and taken further steps to consolidate fiscal deficit in year 2019-20. However, considering the need for income support to farmers we have provided Rs 20,000 Crore in 2018-19 RE (Revised Estimates) and Rs 75,000 crore in 2019-20 BE (Budget Estimates), the interim FM said, while presenting the interim budget. The Government has already crossed the red line and would be looking to former RBI governor Bimal Jalan to provide some additional fiscal space, considering everything else has failed. While some may want to call it the Great Indian Bank Robbery, having failed to deliver in 58 months, the government is desperate to improve its report card.